P22 Blog: Indie Fonts Book Sale! 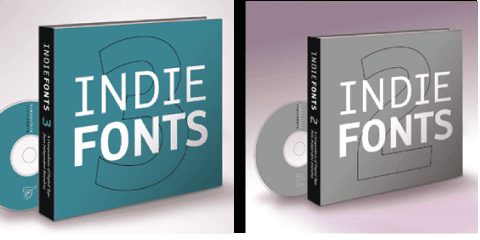 Indie Fonts is a series of type specimen resource books featuring dozens of independent type foundries and type designers from around the world. Each book contains over 400 pages of specimens plus a CDRom with dozens of fully licensed fonts from the foundries featured in the hardcovered books. As we continue our preparations for our new website, we will no longer have the books available online and now is your final chance to order these books at a fantastic savings. The series includes 3 volumes. We are offering Volumes 2 and 3 for $9.95 each (reg. $39.95) or together as a set for $14.95 - a savings of $65! Very limited quantities of Volume 1 remain and we are offering these copies separately for sale at $29.95 (reg. $39.95). This special offer is for a limited time only and while supplies last. Shipping charges are additional. Making Faces: DVD deluxe version now available!